Bjørnskardtinden as seen from Bjørnskard. The South face is facing the camera. Bjørnskardtinden as seen from Grøtsundet. 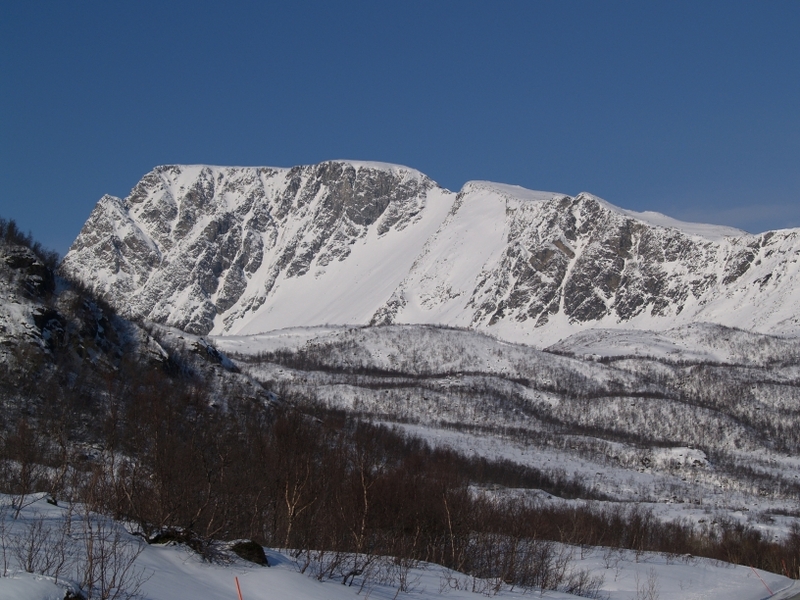 The North face of Bjørnskardtinden as seen from the summit of Soltinden. 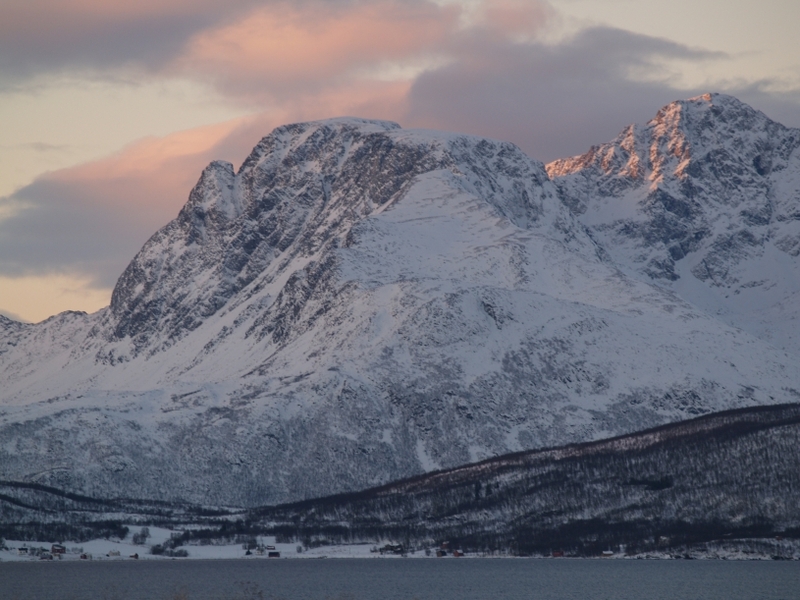 A brief route description of the North face route: Start from Åborsneset and ski up to Åborselvvatnet (297). the notch separating the East (869) and the West summit (954). The upper part of the North face is approx. 40-45°. 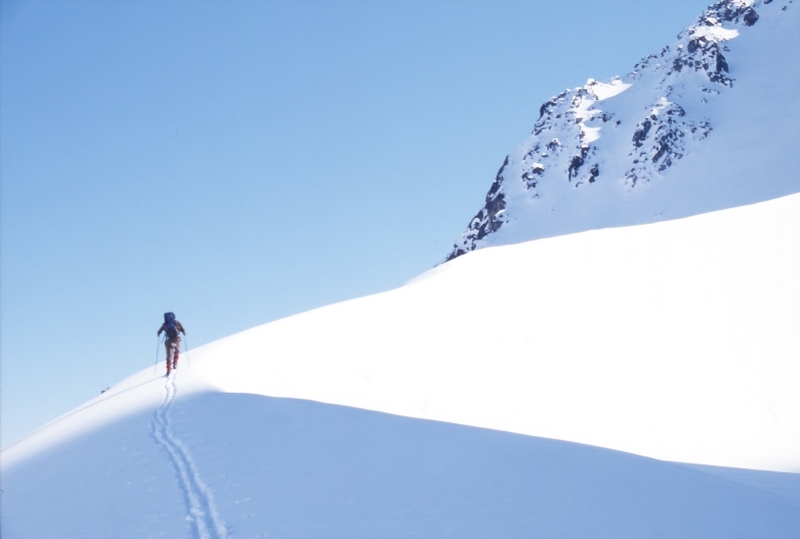 Easy skiing from the notch to the summit. Ski ascent by Geir Jenssen and Øystein Nesheim, 12. May 1999. 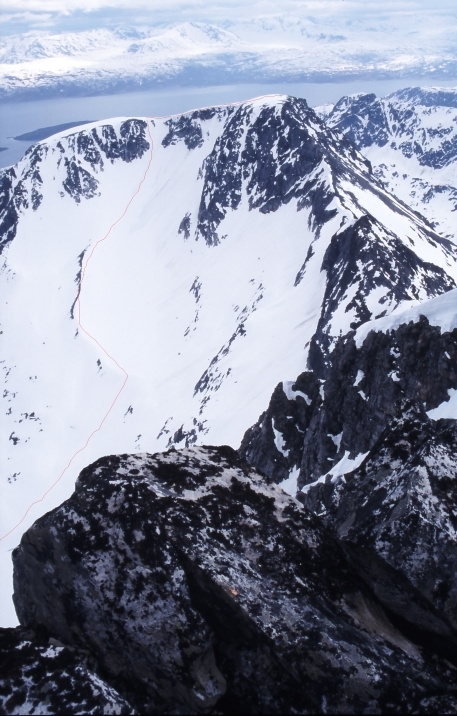 Øystein Nesheim on the lower part of the North face. 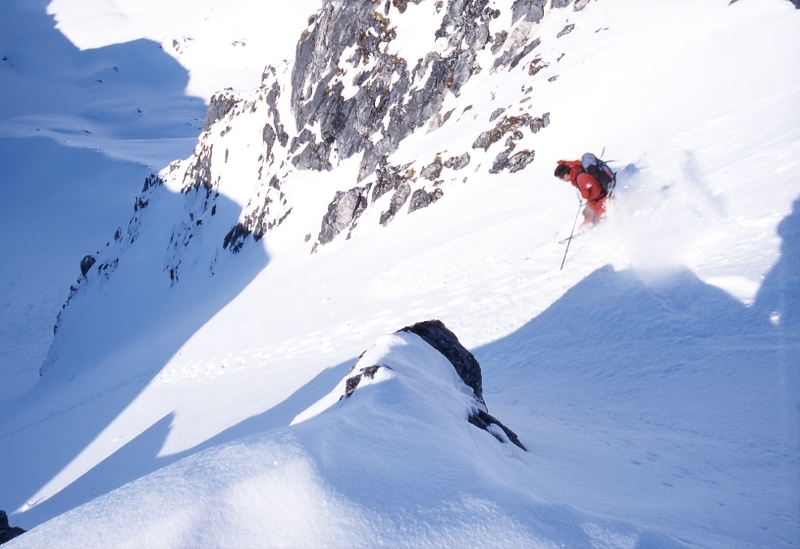 Øystein Nesheim skiing down the North face of Bjørnskardtinden.